The people at Team Falcon have started production of the a improved Falcon 2000 and expect to deliver 25 kits in the year 2000. The kits use Kevlar-carbon fibre construction, for strength with light weight. Building times are expected to be in the 200 hour range. The kit comes complete with instruments and a parachute. Empty weight is 496 lbs, making it eligible under the two place training exemption in the U.S., with a gross weight of 992 lbs. The Falcon 200 is rated at 4.8 g's. It features front and back seating with dual controls. 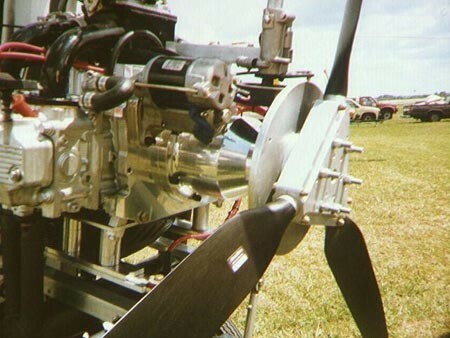 Power is supplied by a Rotax 503 engine in a pusher configuration. Propeller Speed Reduction Unit: Also available from Team Falcon is a durable planetary redrive. 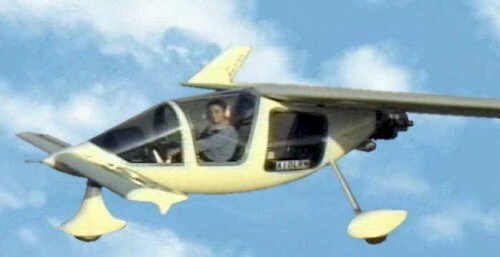 This PSRU (Propeller Speed Reduction Unit) comes in 4 ratios: 1:84, 2:18, 2.84, and 3.18. Adapter kits to fit the Subaru EA82, Legacy EJ22, & EJ25 are available. These units are polished to a nearly chrome look and are in line with the crankshaft, giving a unique aircraft look to these engines. The torsional vibration is eliminated by a multiple 4 sprag system that allows the propeller to spin freely in one direction and completely lock in with each engine pulse. The units are machined out of 6061 T6 aircraft aluminium and weigh 54 lb's. The shaft is machined out of tool steel and hardened to RH 58 and has an additional 5/8" bolt for redundancy. The website of Team Falcon does not seem to exist so perhaps the aircraft is out of production. Arplast 3-bladed 152 cm diameter.